Their fires were dimmed slightly by the lukewarm reception to last year's Get Hurt, suggesting the Gaslight Anthem had written themselves into a corner they couldn't get out of. But they remain a deeply loved band by their fans; as the Jersey quintet took the stage amid plumes of smoke, the covered area around the stage swelled with packs of tank-top-clad men ready for a healthy dose of soulful rock'n'roll. 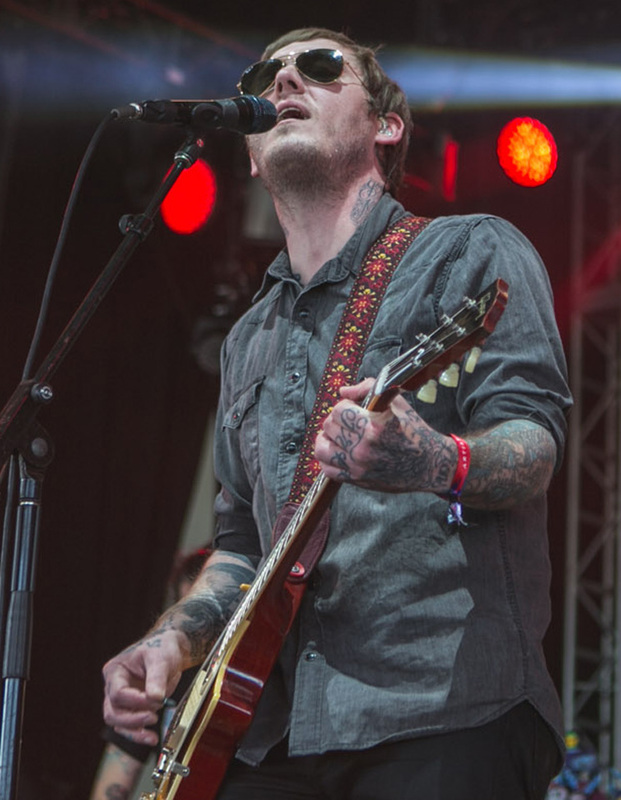 Opening with "Handwritten," the band were game, but lead singer Brian Fallon, his face partially obscured under a pair of aviators, appeared tired and weary. While that certainly suits the band's aesthetic — particularly on the band's more winsome and nostalgic numbers like "45" — they hit a wall during the set's midpoint, where they stacked their slower material. These songs need a healthy dose of dynamism in order to win over the tourists of a crowd, yet Fallon was unable to deliver on this evening. Casually chatting between songs, it was hard to tell if he was mocking certain aspects of the fest or genuinely expressing interest (he claimed the latter, but even that was tinged with a deadpan tone that suggested sarcasm). Still, the band's catalogue is robust enough to sustain a festival crowd and, with Fallon perking up, they ended strong with "The '59 Sound" and a cover of the Who's "Baba O'Riley." That the band seemed most alive singing a song about wasted youth was perhaps telling of where their heads are at these days. Otherwise, their set was marred with a workmanlike feel that left many feeling flat.